The Kitchen Shower game is a simple, fun, funny, and wholesome hen party game. 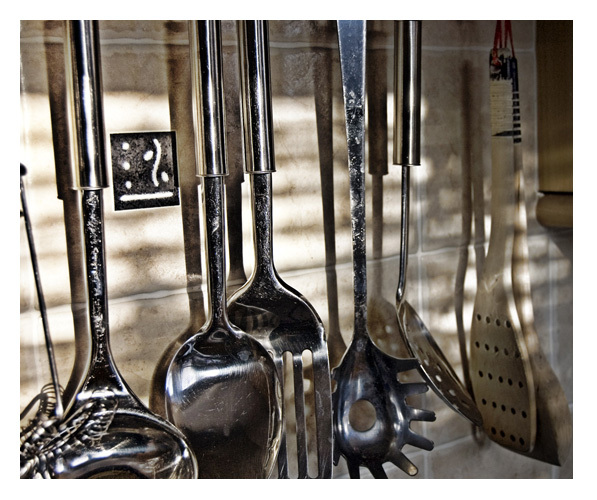 All you have to do is ask all the guests to bring or buy a kitchen utensil for the bride. Once the guests arrive at the party, collect those utensils, add a ribbon to each of them, and let the bride wear all of them. Once all of them are on the bride, let her walk around the room wearing them. Make sure to take some pictures as she models all those utensils around the room! Add a twist to the Kitchen Shower game with another “kitchen related game” and play Kitchen Utensil Scramble! To play this game, give each guest a sheet of paper with 10 to 20 scrambled words. Those words should all be items found in the kitchen. Mix up those letters really good! The one that gets all the correct answers… wins!